Dishwashing is a job that is perhaps one of the least appreciated jobs of all time. But of course, it is something that must be done without fail. If you live alone or in a small family, washing dishes is merely an annoying factor. But if you are running a full time restaurant business then dishwashing is a humungous task that can prove to be a headache. Hiring help to do it will probably not result in the right amount of efficiency; neither is it a cost-effective measure. Here comes the need of availing a dishwasher. Before you start looking for dishwashing machines online, you can go through the following knowhow. Why choose a Dishwashing Machine? 1. 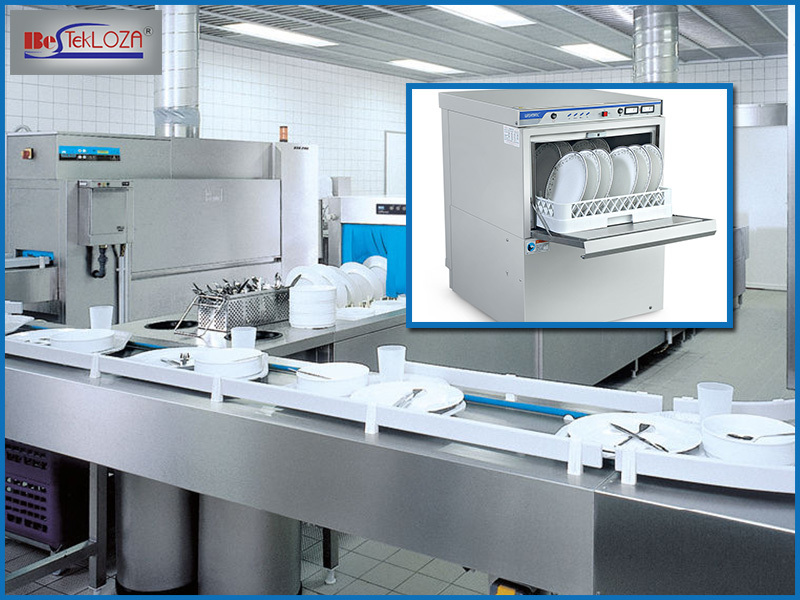 Dishwashing Machines help in better maintenance of hygiene. They use water of a temperature that is much higher than hands can handle. Together with an effective detergent they roots out the toughest kinds of harmful bacteria. 2. On an average, Washing Dishes in the sink uses up a lot of more water than doing it in a dishwasher. The latter often has the capability to recycle some amount of water. Therefore you can save a significant amount of water by opting for it. 3. Dishwashing Machines on an average use quarter of an hour to finish its task, including the time required to load and unload dishes. So compared to hand washing, you can save a lot of time. 4. Customers of Restaurants have an eye for detail. Spot marks and water streaks will only earn you bad reviews. So if you can simply order a conveyor type dishwasher online, it’ll solve this issue in a jiffy. 1.How much of the machine is to be filled is a doubt that riddles many. While overloading it might give you unclean or even broken plates, a smaller load can be accommodated by simply adjusting the racks. The machine has sensors that can detect when it is filled rightly to produce optimum results. 2. While there needs to be enough detergent to do the cleaning, its excessive usage can be a major let-down. You will end up having cloudy dishes and glassware. The friction caused may lead to tiny abrasions on the surface of the utensils. 3. Cloths and sponges that you use to clean your kitchen can often become breeding grounds of harmful bacteria. You can easily use the dishwasher to clean them out quickly. 4. The best thing about a dishwashing machine is that it will last for years saving tons of water, energy and of course a lot of money. To ensure your business remains up and running and to keep things clean, organised and cost-effective, invest in a dishwashing machine today.